spectacular Puerto Princesa Subterranean River National Park. 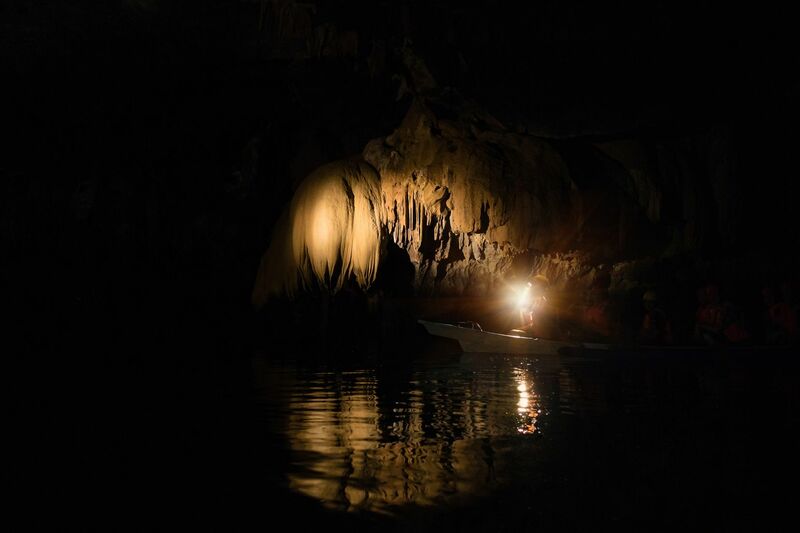 Many only look to Puerto Princesa as a jumping off point for other regions on Palawan, but if you have the time, set aside 2-3 days to explore the area, especially at night! If you like beer, pay Palaweno Brewery a visit! It is Palawan's first and only craft brewery and is the only female-run brewery in the Philippines. Their tasting patio is brand new and pairings, tastings and live music are worth it! If you want the best massage of your LIFE (bold statement, I know) head to Purple Bamboo. The price is right and the staff are phenomenal! If you are a scuba diver or interested in exploring the famous Unesco World Heritage Site Caves, you'll appreciate Puerto Princesa. It is very commercial but a necessary evil to experience the beauty of Palawan. Please do visit Puerto Princesa, Philippines. There are lots of adventures you can do. Once you visit, you will know how beautiful is the PHILIPPINES. Thaks. A lovely city located in the central Palawan island. Lots of friendly locals, pristine beaches, and family fun activities. Some major things to do are the Underground River boat tour, firefly watching, checking out the markets, and taking in the local culture. It was my first time in Puerto Princesa, and what greeted me was a bustling airport, clean and comparatively bigger than other domestic airports we have in the country. I heard its up for major renovation which will eventually turn it into an international hub. It is part of the PPP program that the government will rollout in the coming months. I was in Puerto Princesa from June 24-27, 2012 (4D3N), this dates all the reviews and comments that I will be posting about the different sights and eats in Puerto Princesa. Honda Bay Tour plus sidetrip to El Nido"s Lagoons.